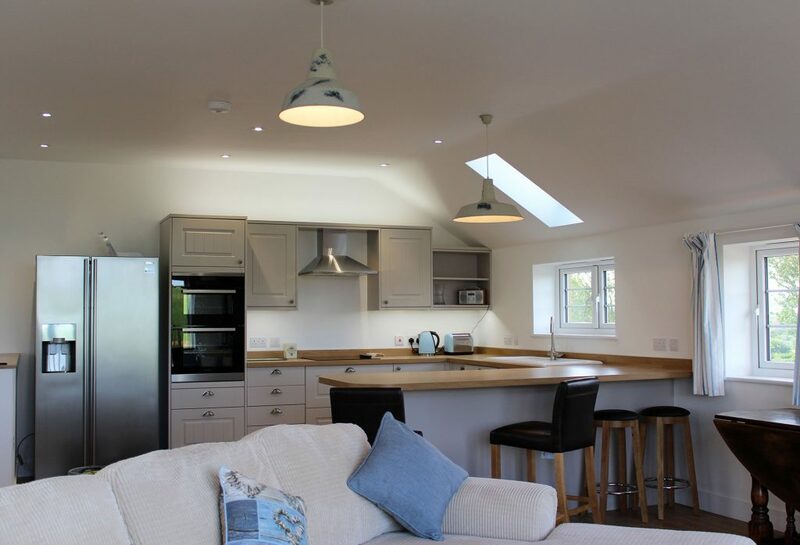 From the beginning of this project, RHR Construction worked alongside Cornwall Planning Group on this new build detached house which was a replacement for an old barn. 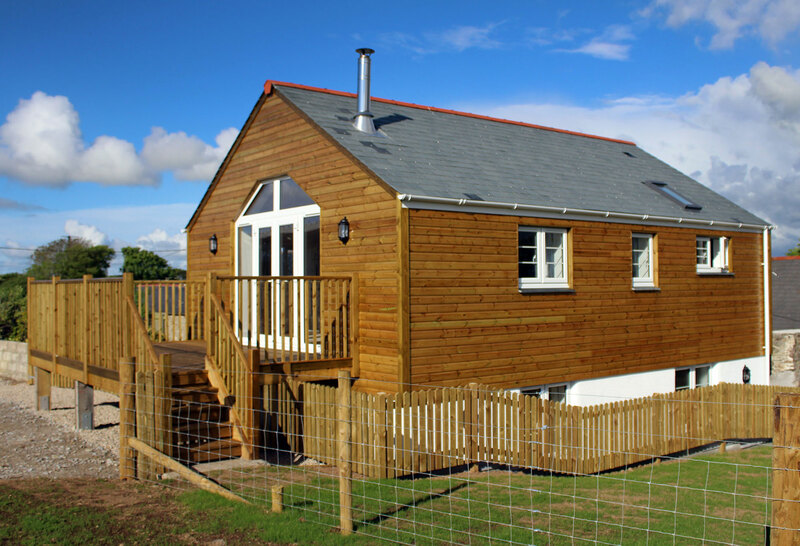 This new build is now being utilised as a holiday let on a farm over looking the beautiful Cornish countryside. We worked with the owner and Cornwall Planning Group from the outset which made life a lot easier for all involved in achieving the client’s aims with little fuss. The property was of timber frame construction with a block exterior. The external finish was in a barn style with small paned windows, timber cladding, rough rendering and a slate tiled roof. The holiday let property is arranged in a reverse level layout with open plan living area, modern fitted kitchen and patio doors that open out on to a raised decked area. The ground floor has an entrance hall with an oak staircase and a large master bedroom with ensuite four piece suite and complementary tiling. All the external and internal finish choices were made by the client in consultation with us. We were all delighted with the finished result. This project also included external landscaping which brought the whole project together.